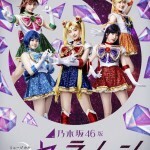 Last weekend the Sailor Moon Official Site was updated with images of the entire cast of the upcoming Sailor Moon The Super Live musical. We had previously gotten a complete cast listing and some partially obscured images of the cast. Here we have the ❤ Pink Heart, ◆ Yellow Diamond and ♪ Blue Musical Note casts. I had previously made an attempt to translate most of the cast names and was missing only a few. I’ve been able to fill in the blanks with details from a post on Anime News Network. 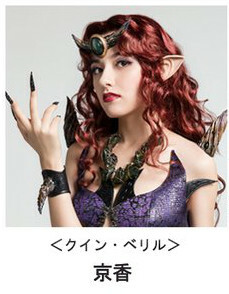 The image on the official site and those posted to Twitter were a bit confusing with a number of repeated images for Queen Beryl, Kunzite and Tuxedo Mask who’s actors span multiple teams. I attempted to simplify them in the amalgamated image above. The Super Live Musical web site also gives a decent matrix showing them all. Check out the updated cast listings, with separate images, below. Confusingly, there are two Queen Beryls over the three teams. 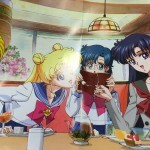 Kunzite and Tuxedo Mask are the same amongst all three teams, as was reported last time. What do you think of the look of the latest Sailor Teams? Casting for Tuxedo Mask is always important. 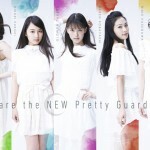 Do you think Riona Tatemichi who played Taiki in the Le Mouvement Final musical fits the part? 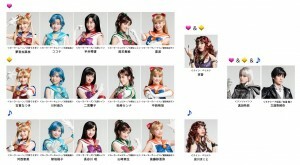 The musical starts at the end of the month on August 31st and will run until September 9th in Tokyo. It will also be held at the Japonismes event in Paris November 3rd and 4th. With so many showings there are often multiple teams doing shows on the same day. 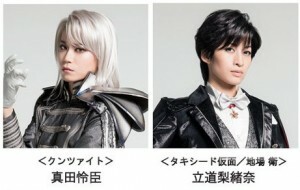 Good news for the cast members who get to relax between showings but a lot of work for Sanada Reo and Riona Tatemichi was are present for every performance! Are any of you planning on seeing this one? 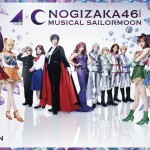 This entry was posted in Sailor Moon Musicals and tagged Cocona, Japonismes, Kanae Yumemiya, Kanna Matsuzaki, Kie Obana, Kitomi Hirai, Kunzite, Kyoka, Kyoko Ninomiya, Makoto Aikawa, Momoko Kaechi, Natsuki Koga, Paris, Pretty Guardian Sailor Moon The Super Live, Queen Beryl, Reo Sanada, Riona Tatemichi, Saaya Goto, Sailor Jupiter, Sailor Mars, Sailor Mercury, Sailor Moon, Sailor Venus, Sena Hooper, Shio Yamazaki, Tokyo, Tomomi Kasai, Tuxedo Mask, Umino Kawamura, Yu Nakanishi, Yui Hasegawa by Adam. Bookmark the permalink. It’s been a long time. Are we ever going to hear more about the Sailor Moon Crystal OVA films? At this point I’d take any news even just one sentence assuring me they’re still working on it. But nothing. They don’t have to show progress but after all this time they should at least explain the hold up and assure us fans it’s still being worked on. But do they care? No! Toei doesn’t give a crap! Agreed. Keeping an eye on the official site every few days but aside from the occasional musical news I don’t see much that’s worth covering. 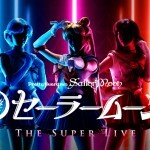 Also what happened to the review on how the Sailor Moon movie event went? *Scratches the back of his neck and chuckles in bewilderment* From personal experience and from what I’ve read from others, it was not such a smooth experience across the board. I don’t have a ton of first hand experience to give on this. I was on vacation at the time so I was out of town for many of the showings. I only managed to attend the subbed SuperS & Ami’s First Love showing. I didn’t get any exposure to the dub and my theatre didn’t hand out any of the incentives. Certainly a lot of people had technical issues with the showing which might benefit from a bit of attention but it’s hard to get a feel for exactly how widespread those problems were. I could surely write something up for the site. I got a bit behind with posting and have a few articles I’ve been meaning to write. 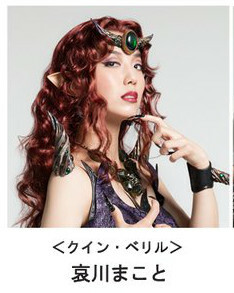 I am particularly drawn to Makoto Aikawa as Beryl.